Appropriate for most skin types and daily use on face and neck. Lifts make-up, excess oils and debris with mild exfoliating action of small, round jojoba beads and charcoal thereby clarifies skin but is not harsh or drying. Compliments care for acne prone skin. Unique combination of surfactant (oil-cutting) and cream-based cleanser. Great gentle but effective fash wash for acne pron skin. Shake gently before each use. Dr. Lamothe recommends gently massaging onto skin moistened with warm water. 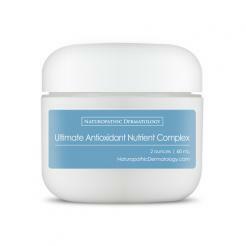 Rinse and immediately apply appropriate Nutrient Complex moisturizer. Use once or twice daily.